First up: a little In Memoriam for The ‘Weekly Status Update’. Remember those? I vaguely recall wanting to post weekly updates with five bullet points each. Ain’t nobody got time for that! I’m following up on excellent advice by cpbotha: “when under-achieving, lower your standards”. I’m no longer setting any expectations here, I just post whenever I want, whatever I want from now on. So what’s cooking? We are writing the aforementioned paper in Overleaf. Which is pretty awesome. I might do a little comparison post on ShareLatex vs. Overleaf when deadline season is over (estimated timeframe: never). 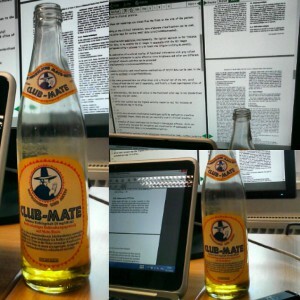 Drinking Club Mate and writing a paper. Kind of a big deal! 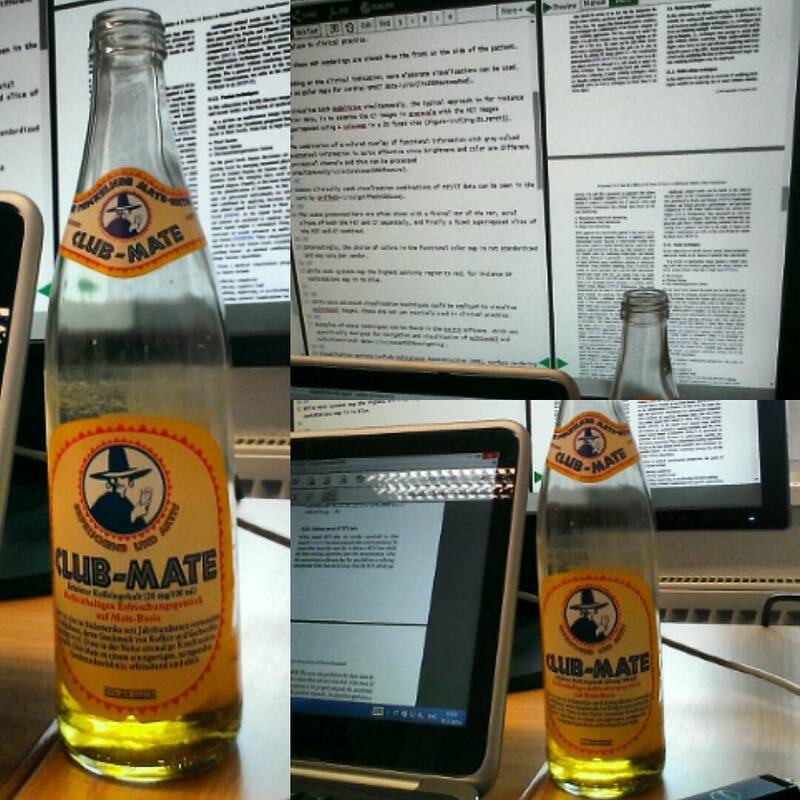 I didn’t realize when I bought it, but apparently, Club Mate is/was totally the hacker tech-startup drink of choice and I am now officially totally cool for drinking that. Did I just write out five bullet points? Is this a Weekly Status Update in disguise?